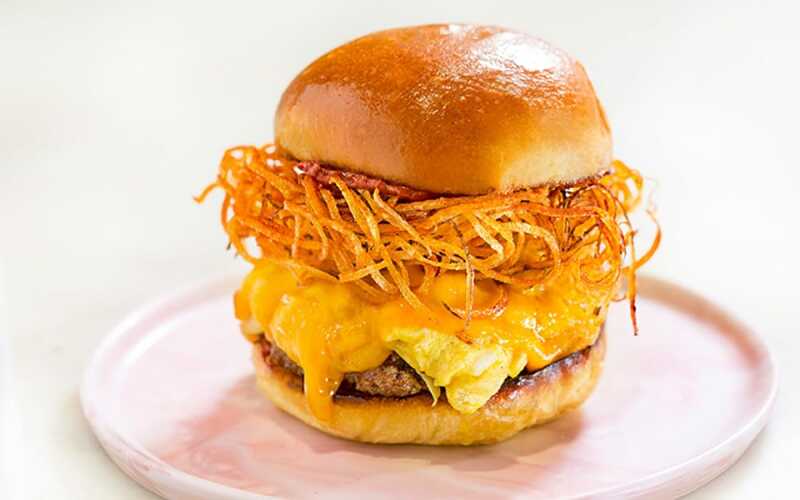 The choices for brunch in this New York City borough are vast and varied, from dim sum in Sunset Park to chilaquiles and breakfast tacos in Park Slope. 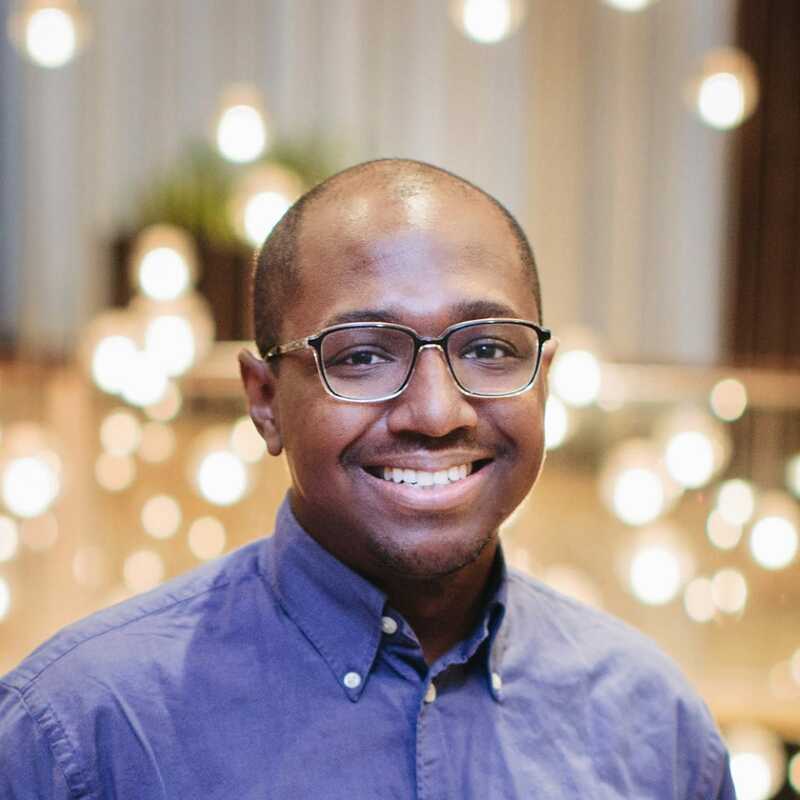 To help narrow the playing field, I focused on Brooklyn restaurants that serve what I consider to be more classic brunch offerings, such as eggs Benedict, hearty hashes, stacks of fluffy pancakes and all manner of sandwiches. 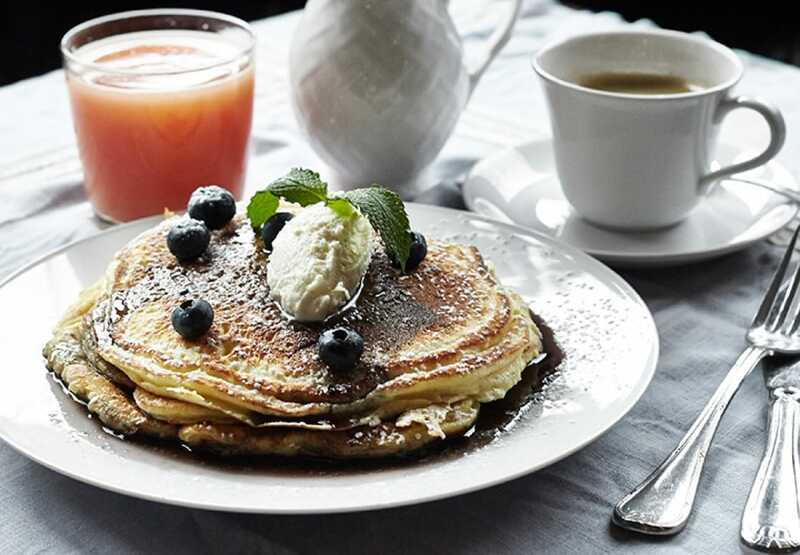 Here are nine picks for the best classic brunches in Brooklyn. What It Is: A popular all-day breakfast spot in Williamsburg with a charming front-of-house staff. What Our Inspectors Say: "The star of the show are the fantastic buttermilk biscuits, fresh-baked beauties that are split and smothered with pork sausage-studded sawmill gravy." Sample Dishes: Country ham biscuit—featuring ham from Col. Bill Newsom’s Hams in Princeton, Kentucky—served with fig jam, Grafton cheddar and a side of grits; house-made chorizo with eggs, salsa verde, pickled jalapeños and toast; and a hot ham and pimento grilled cheese sandwich on a baguette. What It Is: This tavern offers all of the brunch greatest hits along with a few twists: brioche French toast, bistro steak hash, a shrimp club and—of course—"bacon, bacon, bacon!!" What Our Inspectors Say: "A Brooklyn Heights favorite, this sleepy American tavern is a consistent spot in a neighborhood that lacks a variety of serious eats." Sample Dishes: "The Eggs Orleans" featuring crispy Barcat oysters, artichokes, poached eggs and hollandaise on a house-made English muffin with mâche and radishes; bistro steak hash with two poached eggs, sweet potatoes, beets, potatoes and toast; and gluten-free buckwheat pancakes with maple syrup and whipped butter. 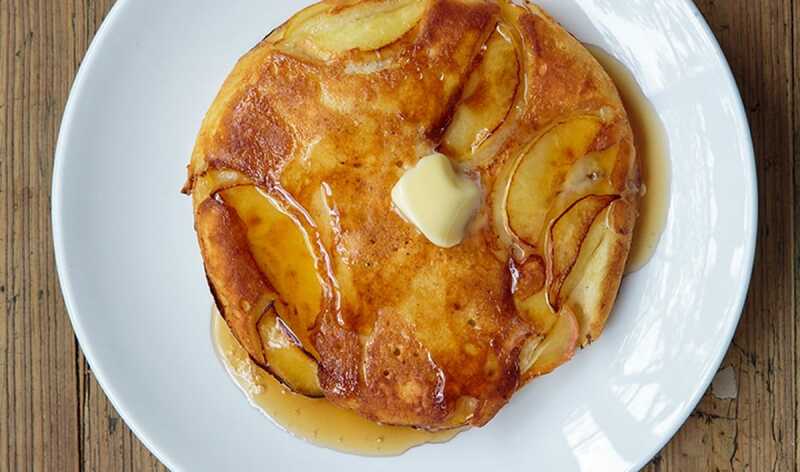 What It Is: This is the place responsible for the malted pancakes with hazelnut maple praline and brown butter you've seen all over your social media feeds (and pictured at the top of this article). What Our Inspectors Say: "Those warm, gooey sticky buns are sinfully delicious and no one skips the breads." Sample Dishes: Egg and sausage sandwich with gochujang aioli, crispy potatoes, cheddar and brioche; biscuits with breakfast sausage gravy, poached eggs and hot sauce; and a quinoa and lentil bowl with seasonal vegetables, kale, six minute egg, avocado and sambal. What It Is: "It’s warm and relaxed, run with care and attention, offers an appealing menu for all occasions—and has prices that encourage regular attendance," according to inspectors. What Our Inspectors Say: "This care is even evident at weekend brunches in standouts like the short rib hash." Sample Dishes: In addition to the short rib hash, there's pecan pie French toast with bourbon, molasses and toasted pecans; a house-cured lox platter with fried capers, green onions, cream cheese, New York rye and organic greens; and a trio of Bloody Mary options. The lemon ricotta pancakes with blueberries and blueberry syrup from James. What It Is: Per the restaurant's website, "Our food combines traditional rustic fare with a refined, modern sensibility." What Our Inspectors Say: "This romantic restaurant holds a nostalgic sort of charm, as though it's been a fixture on the corner for a hundred years. It hasn't, of course, but its pressed-tin ceilings, silver bowls filled with bright citrus, whitewashed exposed brick walls and tufted leather banquettes lend it an old-school sort of sophistication." Sample Dishes: Cinnamon brioche French toast with blackberry-ginger compote, crème fraîche and pink salt; pork belly and artichoke hash with two fried eggs and Asiago cream; and smoked trout on focaccia with pickled red cabbage, arugula, green olives, capers and a hard-boiled egg. What It Is: An "energetic and inviting" restaurant on the "quiet and industrial Nevins Street." What Our Inspectors Say: "The cuisine is seasonal, light and fresh, with each plate delivering something unique and unexpected." Sample Dishes: Crab scramble with mascarpone and crispy fingerlings; grits, greens and eggs with sunny eggs, pea leaves and chorizo vinaigrette; and ricotta toast with plums, huckleberries, poached egg and rhubarb gastrique. What It Is: “We’re a new New York City restaurant—instead of New American—we’re new New York City,” says chef/owner Homer Murray. What Our Inspectors Say: "It's hard to achieve this level of delicious, well-sourced cooking in hipster Williamsburg, but the menu excels in this regard." Sample Dishes: Bacon hash cakes with poached eggs and Béarnaise sauce; buttermilk fried chicken sandwich with slaw and spicy aïoli on a potato bun; and gluten-free pumpkin pancakes with maple syrup and brown butter. What It Is: "This local standout is situated in a waterfront neighborhood that feels not only charming but utterly untouched by time." What Our Inspectors Say: "The original carriage house was a butcher shop before becoming Vinegar Hill House—a lineage that seems apropos of such steady and perfectly delicious cooking." Sample Dishes: Sourdough pancake with seasonal fruit; shrimp and grits with smoked bacon velouté; eggs Benedict with prosciutto cotto and hollandaise. What It Is: "Some may think this hip, bi-level eatery is an offshoot of the Brooklyn performance space National Sawdust, but in fact, Rider vies for top billing." What Our Inspectors Say: "Patrick Connolly has put together an exciting menu designed for sharing, with a refreshing focus on vegetables." Sample Dishes: Lemon and fennel doughnuts with crème fraîche; lox fries with potato wedges, smoked salmon, salmoriglio and capers; "braised beef and red flannel hash" with two sunny eggs, crispy herbs and onions. Hero image courtesy of Sunday in Brooklyn. Photo Credit: Evan Sung.